Disneyland is the first of two theme parks built at the Disneyland Resort in Anaheim, California, and opened on July 17, 1955. Disneyland has a larger cumulative attendance than any other theme park in the world, with over 650 million guests since it opened. Some of the park’s major attractions include, Adventureland, Critter Country, and Mickey’s Toontown. If you’re planning a trip to Disneyland, let Via Trailways help you get there! We want your trip to be as stress-free as possible so you can focus on having a relaxing and fun-filled time. 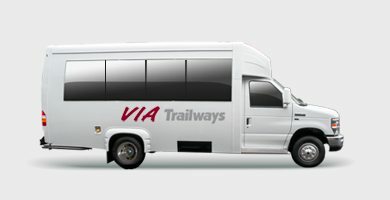 When travelling with Via you’ll be able to relax in one of our comfortable, secure charter buses after a long day of rides and sightseeing.